Sierra High School in Whittier, CA opened in 1957 and there were 21 graduating classes before it closed it's doors in 1979. 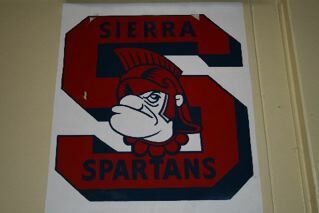 This website is dedicated to those who walked the halls of Sierra during those years. We welcome all teachers, staff, graduates and attendees who consider Sierra their home. We invite you to post your profile so classmates will know what you have been up to since your days at Sierra. We have a remembrance page where you can leave information about a classmate who has passed, post an obituary or share special memories of times at Sierra and growing up in Whittier. When we hear about them, we will post information about upcoming class reunions. On our message board you can relate fun memories of Sierra. If you would like to post pictures in our Photo Album you can go to the contact page and send us a message. We would be happy to post any pictures you have of great times at Sierra. If you have any questions at all you can always go to the contact page and send us a message. We will be happy to help. We can usually respond to your messages fairly quickly, but if we are away from our computers and phones, please be patient with us.